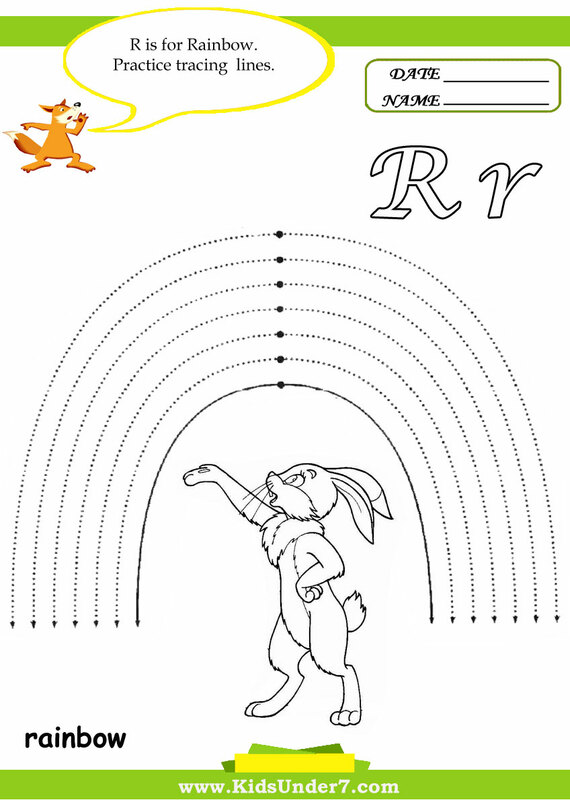 1.R is for Rainbow. Practice tracing lines. 2. 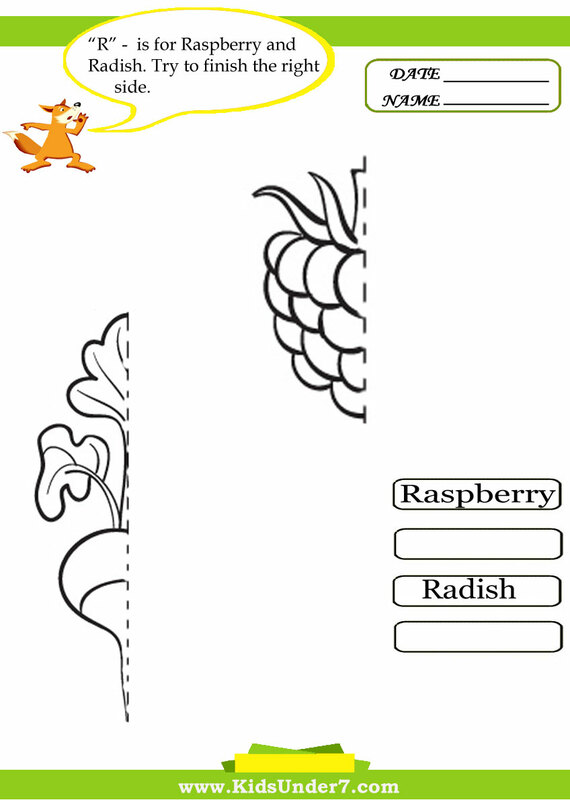 R is for Raspberry and Radish. 3. 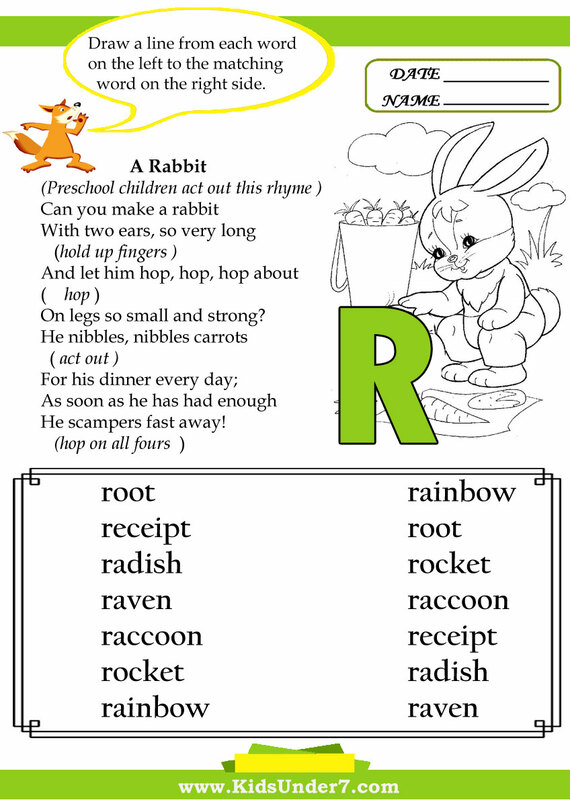 A Rabbit Rhyme.Draw a line from each word on the left to the matching word on the right side. 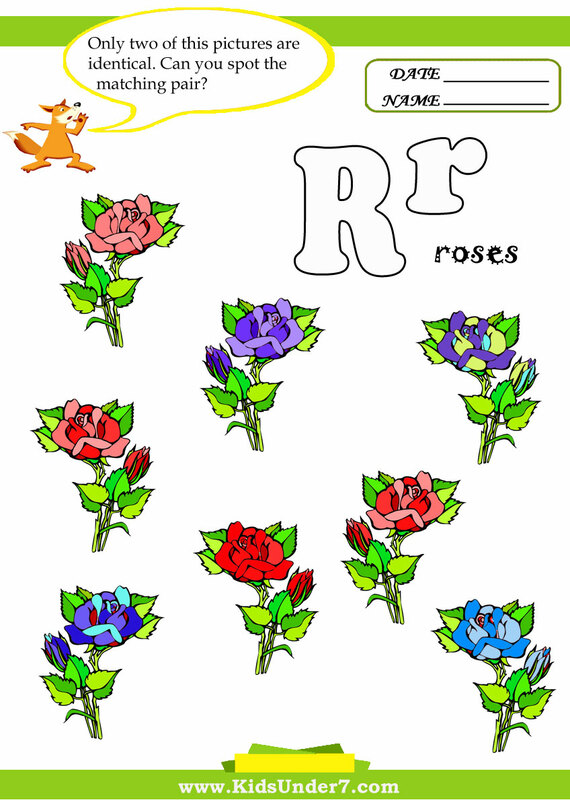 4.Find and circle two identical roses. 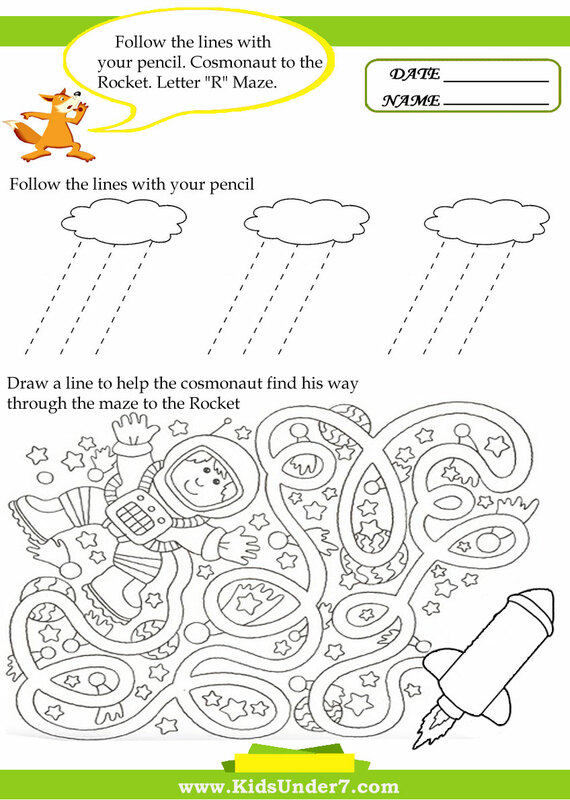 5.Follow the lines with your pencil. Cosmonaut to the Rocket. 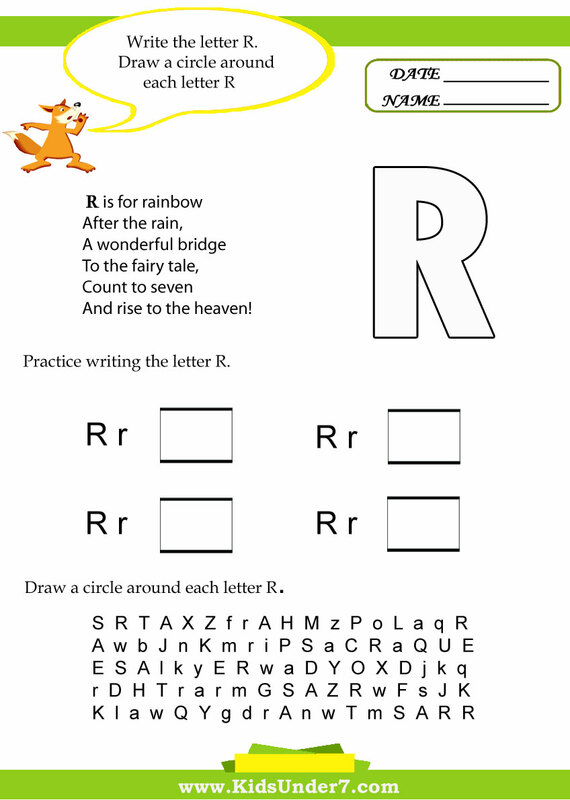 Letter R maze. 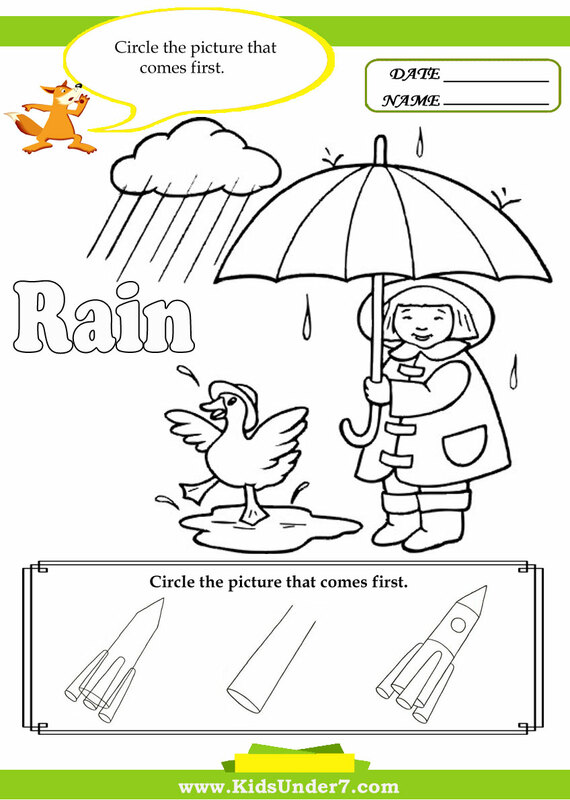 6.Color the Rain. Circle the picture that comes first. 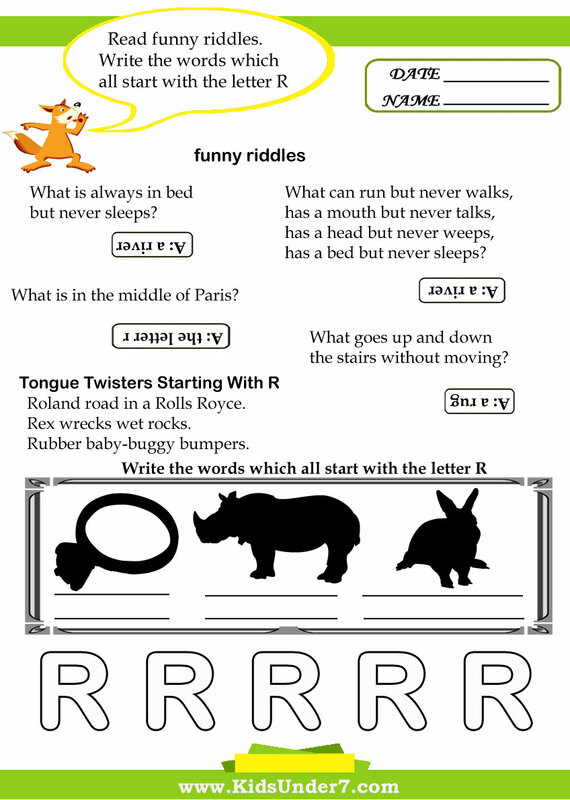 7.Read funny riddles.Write the words which all start with the letter R.
8.Write the letter R. Draw a circle around each letter R.
What is always in bed but never sleeps? What goes up and down the stairs without moving? has a bed but never sleeps? What is in the middle of Paris? And rise to the heaven! On legs so small and strong? R is for red. Many things are red. What can be red? Do you know, Fred? They are prepared for you! Round and round the rugged rocks the ragged rascal ran. Roland road in a Rolls Royce.